Below you will find external links to references containing general information, terminology, diagrams, and keys. ​Learning Oaks - Species A Day: While Biodiversity of the Central Coast will cover many species also found outside of the Central Coast region, including Vancouver Island, this is an example of a similar and excellent resource for southern Vancouver Island terrestrial species. 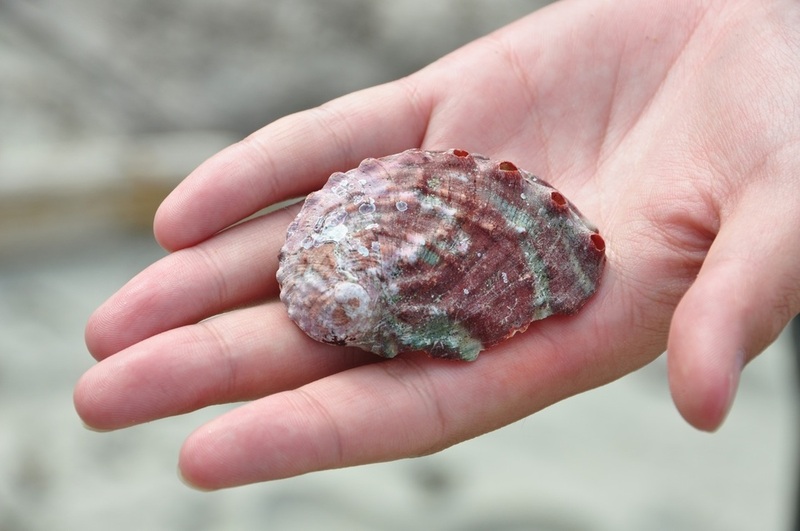 Northern abalone shell. Photo by ES 470 participant. 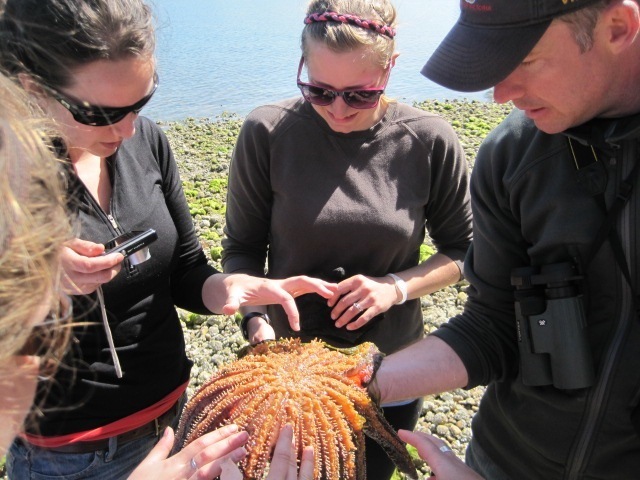 Examining the tube feet of a sunflower star. Photo by ES 470 participant. 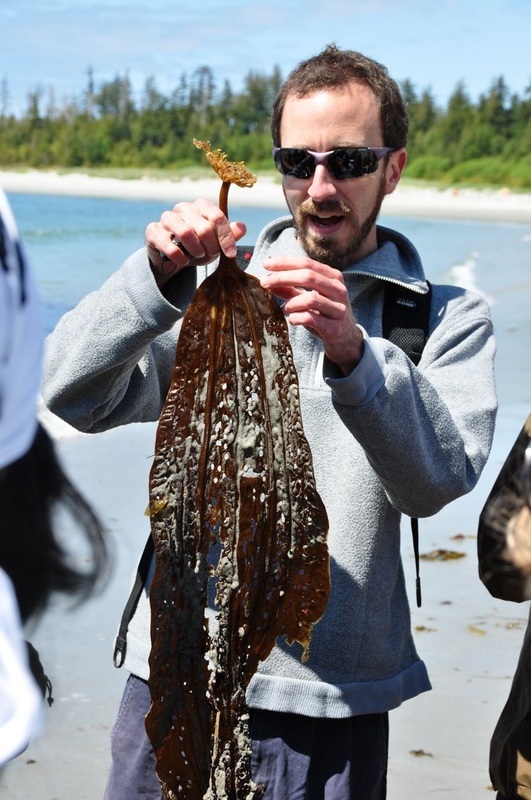 Dr. Patrick Martone explains a kelp holdfast. Photo by ES 470 student. 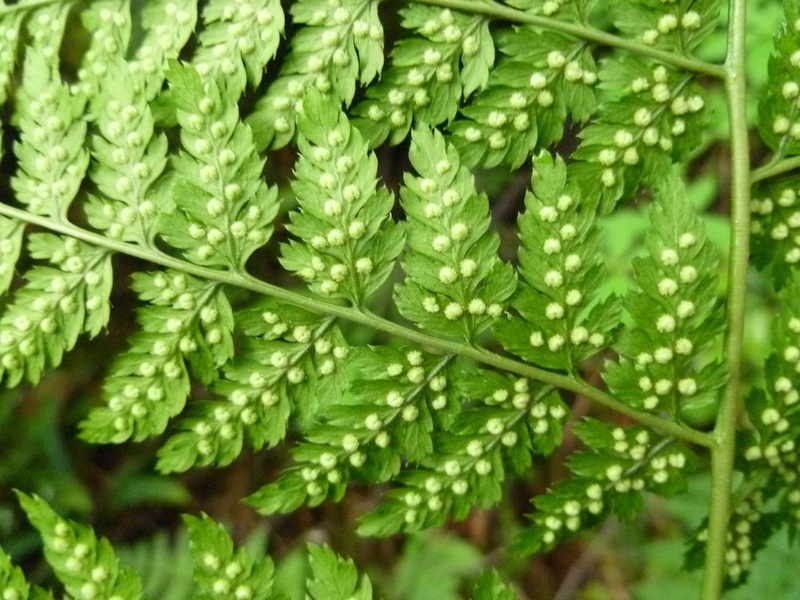 The sori of a fern can be important for species identification (these lady fern sori are horseshoe or oblong-shaped). Photo by ES 470 participant. 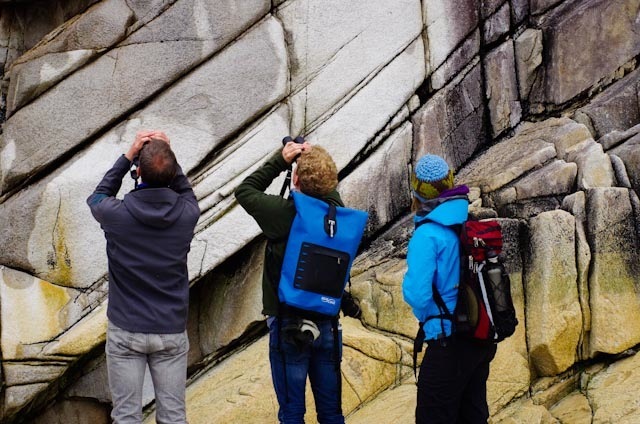 Exploring the lookout on Calvert Island. 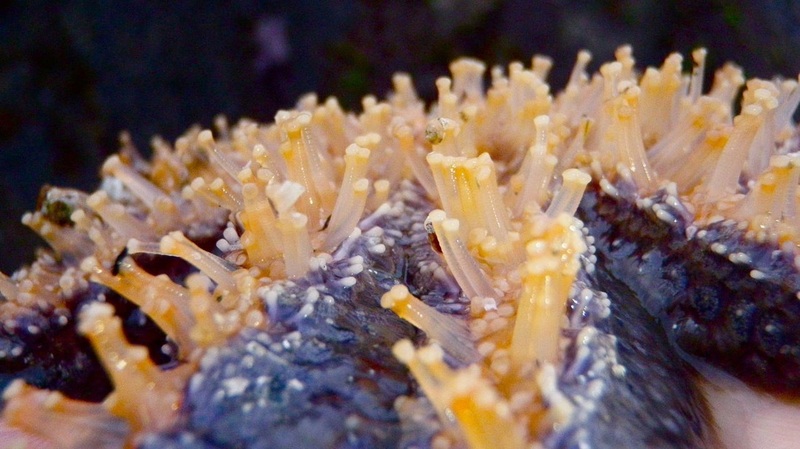 Sea star tube feet. Photo by ES 470 participant. Instructions: To use a dichotomous key, start at the two choices listed for #1 (these will be 1a and 1b). Pick whichever choice fits the description of your species, and then go to the next number listed beside that choice. Continue in this way until you get to a species, and hopefully it will fit the description of what animal you found! Each number has two choices, and choices in the key are all numbered consecutively, though you will not be directed to each number. 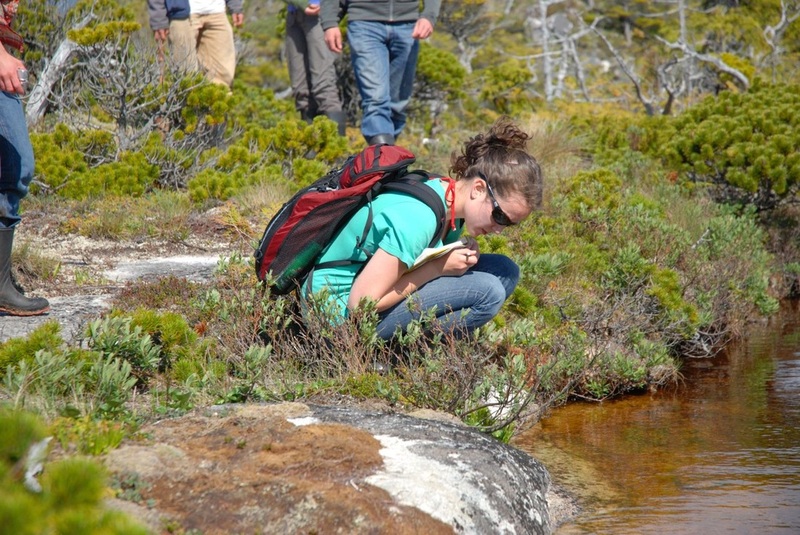 Click here to read a more detailed description of dichotomous keys. The Salish Sea refers to coastal waters off southern BC and northern Washington: Puget Sound, Strait of Georgia, and Juan de Fuca Strait. Many of these animals are found throughout the Pacific Northwest. Start HERE if you have no idea whatsoever! 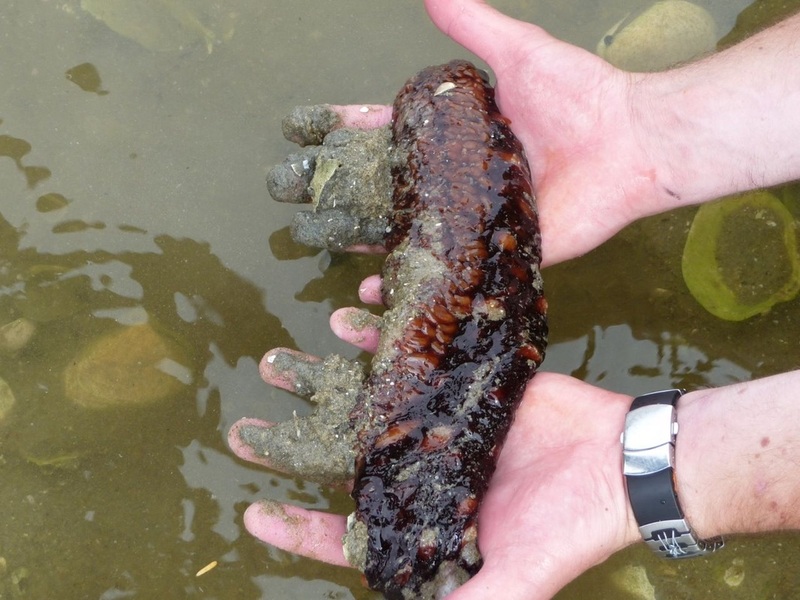 Giant red sea cucumber (Parastichopus californicus). Photo by ES 470 participant.